I wish our magazine cover could feature fluffy kittens gambolling among spring flowers. Some things in life we really don’t want to know. But it’s impossible to escape the evil that humans have inflicted on each other throughout the centuries and the evil that shows up in today’s news headlines. We can argue over how much our faith ancestors knew about the malicious forces at work during the Nazi era or about how widespread those racist attitudes were in Mennonite communities. It may be hard to determine how complicit particular individuals were in what was later revealed to be a giant system of death. It would be comforting to believe that none of our faith forbears caused—or benefitted from—the suffering of others. Nevertheless, we must hear these ugly stories, because they are part of our people’s larger story. As I write this on Good Friday, I am reminded of the witnesses, neighbours, enablers and killers in that 2,000-year-old ugly story. Where would you and I have been on that day? I’d like to think that I would be among those who mourned at the foot of the cross or lovingly buried Jesus. But maybe I would have been part of the crowd that yelled “Crucify him!” I could have rejoiced with the criminal Barabbas that he had escaped the death sentence that landed on Jesus. What if you and I had been among those who knew about Judas’s plot but had done nothing to stop it? One problem is that evil is not always recognizable as such. Sometimes it can masquerade as good. Believing that God is on our side, we can become blind to our participation in evil actions. The Apostle Paul sees the pervasive nature of evil—he calls it slavery to sin—in his own life. He speaks of the inner conflict common to us all: “I do not understand my own actions. For I do not do what I want, but I do the very thing I hate. . . For I do not do the good I want, but the evil I do not want is what I do” (Romans 7:15,19). So, listen to those ugly stories. As we mourn historic evils, we confess that we live—and participate—in a world that allows evil to fester. But we don’t have to get stuck there. In this season of the Resurrection, God offers us hope and an opportunity for new, positive choices. Let us rejoice with Paul that the Spirit of the Risen One sets us free from the law of sin and death. With God’s help, let us live into that freedom. Donita lives in Edmonton with her husband Tim and attends First Mennonite Church. They have two sons, one in high school and the other at Canadian Mennonite University. 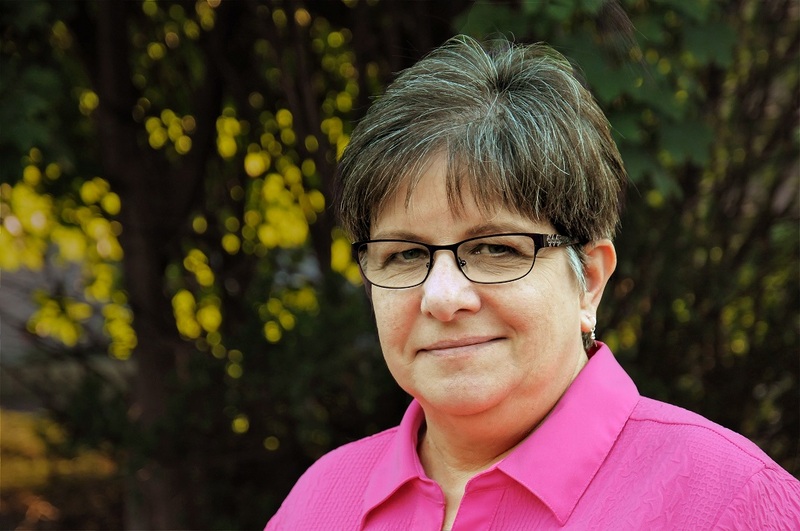 Donita has worked for the Mennonite church for almost three decades, as a camp director, a pastor, and since 1999 as a writer for Canadian Mennonite. In September 2017, she began working part-time as the Edmonton liaison for Mennonite Central Committee. Donita enjoys training and riding her horse, reading, writing, gardening, being a hockey mom, and taking photographs of wild mushrooms. Thank you for a courageous editorial. I observe that we have not commemorated the martyrs of this era: my grandfather, called to the ministry in 1938, was arrested on February 18, 1938, and murdered/martyred on March 15, 1938. My communion does not recognize its martyrs, nor does it recognize until this day those who participated in great evil. What are we to learn from both sides of that page? Human nature leaves a lot to be desired, even in peacetime. Sadly, Satan is making himself known in this present world, attempting to destroy the good things our forebears built up. Thankfully, our Lord Jesus will have the upper hand and save us. Amen to that.